Here you will know what is the best way to learn java for a beginner. Programming is the new vogue and a vogue which can make you earn wonders and at the same time make you utilize the capabilities of your brain to the fullest. Learning new programming languages however can sometimes turn out to be challenging especially when the language is one which holds immense importance in various fields. Java is definitely one of those languages which most of the time can haunt the programmer during the initial phase. If you also feel that you belong to this domain, don’t worry, nothing is impossible and Java is definitely not. Here are the best possible ways through which you can easily master the art of programming in Java. It is very necessary to get yourself geared up before you actually move towards learning the language. Give your laptop or computer the perfect IDE (Eclipse preferably) for the language. Also, install the jdk on your system and most importantly, make sure they are compatible to your system and are running on your machine. Before you begin, the most crucial step is the source from which you can start learning the lessons for java. For initial phase, the video lectures and practice assignments by Udacity or Udemy can be a great help. Once you start knowing the concepts and understanding things, you can move on to the book Java – The complete reference by Oracle. Going through this book is the master step one can take towards learning java. This book can also be downloaded and it contains all the concepts and relevant data you would need to entitle yourself as a “master in java”. You can also refer javatpoint.com website or ProgrammingKnowledge youtube channel to learn java for free. Also, if in any case you find any difficulty in going through the above mentioned data and prefer to choose some other methods of learning, be sure to verify the authenticity of your sources. Because wrong sources can mislead and will only turn matters worst for you. No programming can ever turn into a success until you actually start implementing and visualizing things. Till now, you definitely have your IDE installed. So, even if you learn a basic program of addition or like concept, make sure you practically implement it and get the results. This is a healthy practice and it will keep you prepared for every challenging concept you will need to implement in the near future. Once you will start recognizing and correcting your errors, java won’t be much difficult for you. However, if you ignore the need of practically implement the codes from the very beginning itself; going through things later might turn difficult. 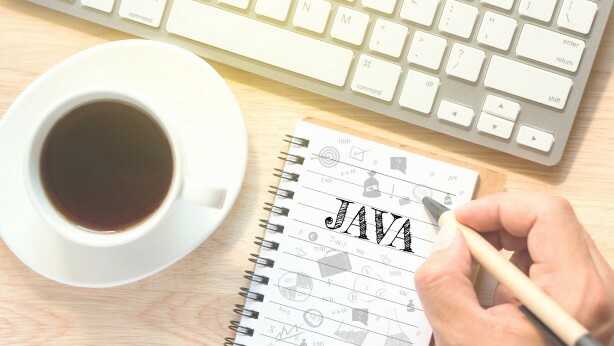 Java is an Object Oriented Language, the concepts this approach has gifted to the language are difficult if not understood properly and this difficulty will definitely aggregate into a larger one. It’s very necessary to understand every concept along with its practical worth. For instance if you learnt the concept of inheritance, make sure you actually know that this concept is used while deriving the subclass from the super class. Not only this, every concept you learn must be etched into your mind along with its practical implementation. Java has an ocean of concepts understanding each of which is a vital and foremost step towards learning the language. Unfortunately, most of the people don’t understand the importance of this point and trust me, they are the only ones who find it difficult to understand the language. Things become drastically easy once your brain knows how to tackle them. When you start learning the language, make sure you gather enough intentions for the same. You cannot complete a language without letting your brain be aware about the same. So, when you are learning java, try to make it a “java-affair” – just between you and the language. Only then can every possibility be generalized and worked upon. Once your brain knows you need to do, it will do it for you. Trust me; this will make your job easier. It’s possible that you might also start having outputs and solutions on your finger tips. Marking out the weakness can strengthen your capabilities. When you start practicing things, you will come to know the spheres you are weak at. Mark them and make it a point to work on them consistently. Be it a small or a big concept or point, working on the weak ones will radically improve your knowledge on the language. Not only for Java, but for every other language, dry run can work wonders. Before implementing the code on the system, try to write it on a paper and run it through you power. If you are getting the wrong output on the paper itself, you cannot expect your code to run successfully on the system. Dry run of the code can also save the programmer from many logical errors also. The most important point is that you start relating concepts and methods used in the language with the counterpart of the languages you have probably learnt previously. Many times, some of the basic concepts and constructs are exactly same or are just a bit variant. Relating the newly learnt concept with the previously learnt will reduce your workload easily and will also make learning much easier than thought it to be. Practice makes a man perfect and disappointments will definitely lead to failures. So, try as much as you can. Take a friend’s help or reach out to your mentor. Search about the problem online, there are many programming forums like stackoverflow where you may find solution. But, never lose the struggle. Make every possible attempt to beat the best out of your high spirits. Java is a gift to the programming world! Learning such a diverse language and working on its various aspects is tempting given the advantages it offers, but most of the programmers find it difficult to learn java just because they are completely unaware of the simplicity with which it can be perceived easily. In this article, attempts have been made to display the best way to learn java. I hope it will help you in the learning journey.